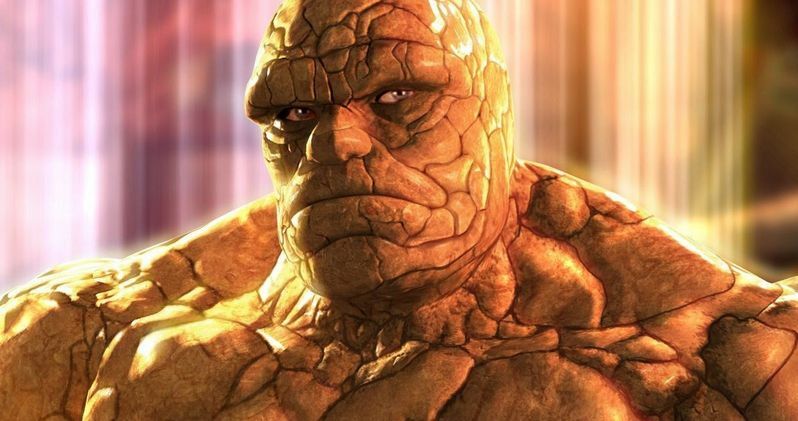 Leaked Photo of the Thing in Fantastic Four Reboot?! Is this what Jamie Bell will look like when he transforms into The Thing? We're not sure, but it's a pretty good fake if that's what it is. The above picture appears to be a set sculpt of Ben Grimm after he transforms into his mighty alter ego. It will be used for lighting reference while shooting against green screen, and for actors to interact with on set. What do you think?